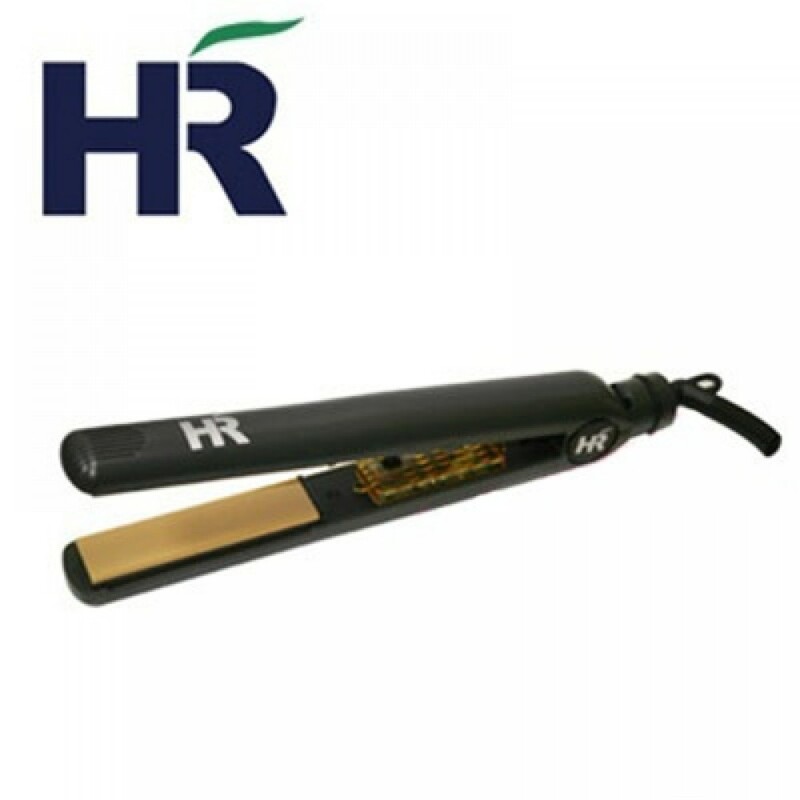 Highly rated as one of the top flat irons in the beauty industry, the H&R Tourmaline Ceramic Flat Iron comes equipped with all the latest technology. Highly rated as one of the top flat irons in the beauty industry, the H&R Tourmaline Ceramic Flat Iron comes equipped with all the latest technology. With the ceramic / tourmaline technology, negative ion technology, and far infrared heat, this flat iron preserves maximum moisture within your hair shaft, eliminates frizz, causes minimal hair cuticle damage, and always achieves a professional finish look. H&R also introduces a unique "New Patented Suspended Plate Technology" that stops hair pulling - enabling maximum comfort during styling. Ceramic plates are crafted to help achieve a smooth, healthy looking hair result. By using ceramic heaters, it emits negative ions to retain maximum hair moisture and to promote a frizz free hair experience. It also features far infrared heat, which is the most gentle hair heating method. It's invisible to the naked eye, deeply penetrates hair and most importantly, doesn't possess any harmful UV rays. Ceramic plates retain heat more efficiently, while distributing heat equally across its surface to prevent hair burns from hot spots. Tourmaline gemstones are embedded into the flat iron plates in nano-form. By boosting the maximum output of negative ions, it helps create a new shine and sleek look by neutralizing the positive charge of damaged hair, while closing hair follicles and smoothing the shafts.